With the days getting longer and the weather getting warmer that means that summer fun is right around the corner. Smirnoff believes that fun times are even better when everyone’s included, and you don’t need an exclusive guest list or fancy charcuterie plate to turn up the fun! That’s why the brand is launching Smirnoff Party Pitch to celebrate the upcoming return of the summer fan favorite, Smirnoff Red, White & Berry. 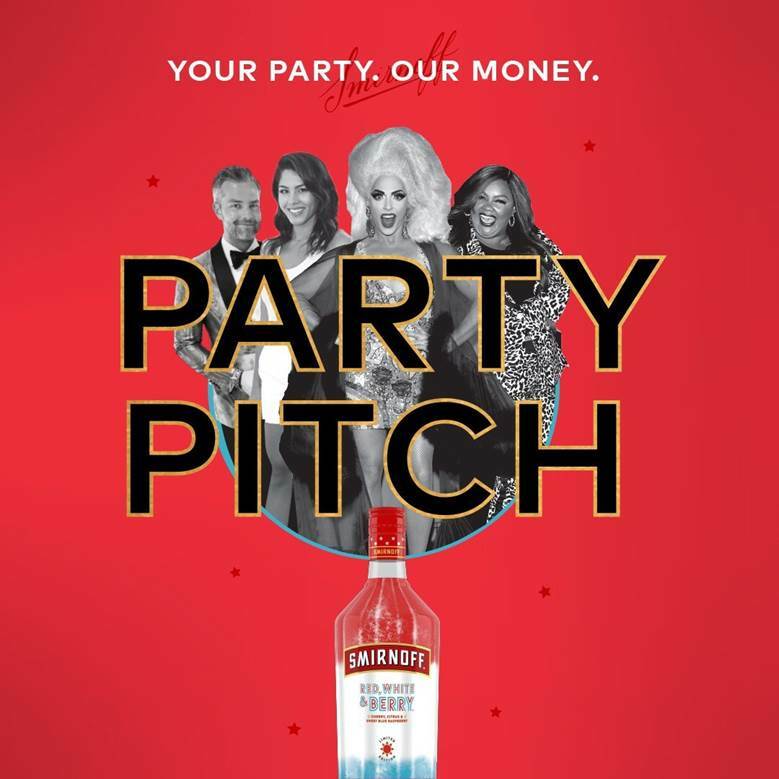 From now through March 27, party people across America (25 and older) can submit their party pitches at https://www.smirnoff.com/contest/party-pitch. As part of the entry submission, each contestant will need to share how they’d serve Smirnoff Red, White& Berry at their party. Whether it’s red, white and boozy ice pops, gelatin shots or patriotic cocktails, out-of-the-box thinking is encouraged, and the possibilities are sure to be endless! Smirnoff will then review all the exciting entries and choose finalists who will get the chance to pitch their patriotic part in a video to our expert party panel.